Rosa Lee Timm presents a summary about the transition rights of special education students and briefly describes the Disability Law Center's on-line transition manual, available at www.dlc-ma.org. She explains what transition services are, why they are important, how to advocate for them effectively, and how you can ask a school to communicate with you in your native language. She concludes with information about how you can call the Disability Law Center if you have additional questions. See the video at this link. I want to discuss this topic with everyone. Many of you make remarks whether if this school or that school is bi-bi or if it is not, then it needs to be bi-bi. What I want to discuss here is what it means for a school to be bi-bi. Some people believes that when teachers use sign language, the school is considered bi-bi. Is that the true definition of bi-bi? What if the teachers left the school and changed jobs, is the school still bi-bi? For a school to be considered bi-bi, there must be a system. Lets picture this system as an iceberg, floating in water. Only the tip of the iceberg is showing out of the water. This tip is what everyone considers and labels as bi-bi. In reality, for a school to be bi-bi, it involves the entire mass of the iceberg. I will discuss some, not everything, of some points that discusses what is required to be considered bi-bi. I want you to take this in consideration and understand how much is involved. Firstly, schools must have a board that has discussed and voted on a language policy. This school wide language policy will be enforced everywhere students will be at. In this case, bi-bi means using English. I am not discussing reading and writing, but using the language English and using ASL as the second language. There are many language options such as Spanish or French. However, the school board has officially recognized English and ASL as the two languages to be used for the school. Other languages are not officially recognized, but if a teacher wants to teach Spanish words during Social Studies class, that will be acceptable. Official languages selected by the board will be used in documents and communication. In other words, the school is required to have this official decision from the board in choosing languages. The administration is required to enforce the language policy to all teachers and staff. It also includes the campus environment such as the cafeteria and maintenance. All workers should know both English and ASL. Any person entering the campus speaking another language must understand that to attend or work at this school, English and ASL must be used. The two languages chosen must be viewed as equal. One language should not surpass the other everywhere on campus. It is not considered bi-bi if using two languages equally at a specific time and not at other times. Both languages must be used equally at all times. For example, lets discuss English classes. Students usually take reading, writing, and language arts classes. Depending on the schools, English classes could be Mondays, Wednesdays, Fridays, or everyday during the school week. In other words, many hours are spent in English classes. If you look at most schools, even Deaf schools, usually many of their ASL classes are one hour a week. Are the hours equivalent between ASL classes and English classes? This is something we need to discuss based on the difference of hours spent in ASL and English classes. All English classes have a curriculum, following Department of Education’s requirements. Does ASL classes have a curriculum? Most of the contents in ASL classes are created on the teachers’ knowledge and additional information collected are from scarce resources. A formal K-12 ASL curriculum has not been developed yet. Gallaudet and Caber has been working on it, but personally, I have not seen any schools that are labeled bi-bi have any official ASL curriculum. 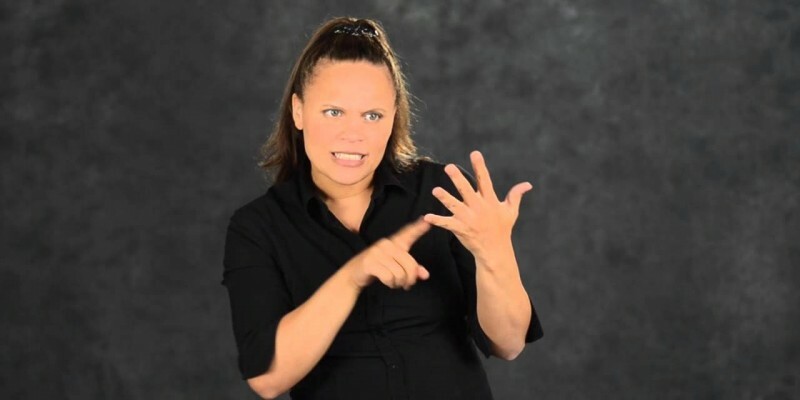 I have seen teachers try different ASL teaching lessons such as poetry, stories, and others. I do not see structured lesson plans designed specifically for kindergarten, first grade, second grade, and so on. Most of those ASL classes follow the DOE’s requirements for each grade level, however the ASL requirements fall in the foreign language category. Do you see the bigger picture? All English classes follow an official curriculum while ASL classes follow a foreign language curriculum. This is what is happening in “bi-bi” schools. Is the time spent in both classes equivalent? Most schools choose to fit in other subjects such as social studies, science, and math in a student’s school day and reduce ASL classes to a minimum. Remember that we discussed the bi-bi philosophy, which states that English and ASL classes should have equal number of hours, which is not happening. I will discuss language of instruction. The policy the board voted on must be clear on what official language to be used for instruction in the classroom. There are many different modes of communication based on English such as cued speech and SEE (Signed Exact English). The policy must be clear on which communication methods are being used in the English category. Is reading and writing the only selected methods? This also goes for ASL, however ASL has less modes of communication so options are limited. In sum, the policy must be clear in the chosen language of instruction. 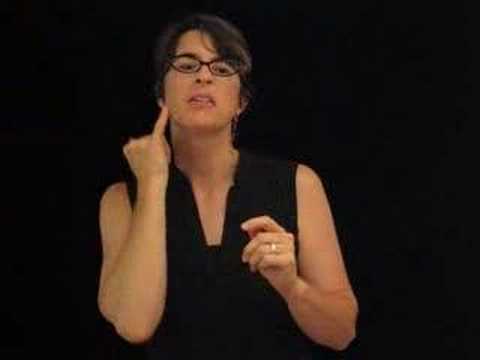 Do teachers use sign language or use spoken language? This sums my discussion on language policy. Next, I will discuss about communication policy. The school board and administration must determine on when and what communication to use. For the English category, as discussed, there are many modes of communication such as spoken language. When and where can spoken language be used? What about ASL? 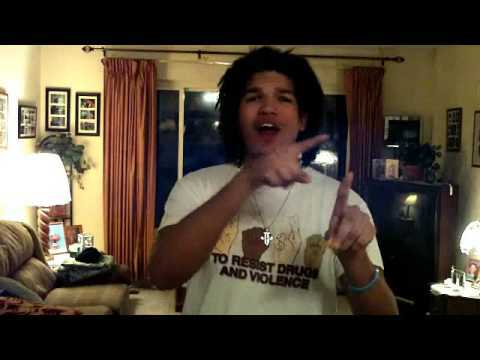 When and where should ASL be used? For example, in a school hallway where deaf students are walking, there are two teachers standing on the side, using spoken language. Is this okay? Are the teachers required to sign in this situation? This is an example of communication policy. The teachers could be using cued speech or other modes of communication. Is it accepted by the school’s communication policy? We should look at the formal communication policy in the classroom and the informal communication policy outside of the classroom such as the hallway, cafeteria, sports, and other places on campus. If there is no communication policy, it is questionable to call a school bi-bi. Everyone will decide his or her own preferences and those different modes of communication will clash. Thirdly, I will discuss about incidental learning. The school must be clear with its entire staff about this. The child learns through his or her environment. The child sees everything that is going on. For example, the child is watching his or her teacher explaining something in the classroom. A electrician comes in and interrupts the class by speaking to the teacher. The teacher holds the class and replies back to the electrician in spoken language. The deaf child sits there, missing information. This is a missed opportunity for incidental learning. The topic may be about electricity that the electrician is discussing with the teacher. If the electrician is signing with the best of his/her ability informing the teacher that s/he needs to turn off the power to fix the light switch, the teacher might be able to use this as a learning lesson. With the child sitting in that learning environment, watching this conversation may lead to the child being fascinated with the subject and becoming an electrician in the future. This could happen if the electrician is signing to the teacher, rather than speaking to each other. If they spoke to each other, the child may never even think of being an electrician. Here is another example: the child sees a food at the cafeteria and asks the cafeteria worker what it is. If the cafeteria worker replies in sign language that this is eggs mixed with bacon. The child may be curious and ask more questions or have ideas of being a chef in the future. This is a case of incidental learning. Incidental learning is opportunities for a child to learn that could happen all day outside of the classroom. The school must be clear on the policy for all staff everywhere such as security, cafeteria workers, mechanics, health center nurses, teachers, and administration. The school must have time to develop strategies for communication. Departments could develop this strategy. For example, a child with hearing parents come in the school to speak with the teacher. The teacher is Deaf and there is no interpreter available. Most of those parents usually find another teacher who can speak discussing concerns about their child. The department must discuss and decide what to do if this happens. Everyone must agree and recognize that the other teacher is not the interpreter but just a facilitator until the deaf teacher discusses with the parents on the best way to communicate with each other. Deaf teachers should have the same treatment and should not allow hearing people or other people prevent that same equal accesses. This Deaf teacher may feel diminished, even though s/he has a Master’s degree or a Ph.D. degree but the hearing parents chose another person to discuss their child other than the child’s teacher. The strategy for communication has many different situations that should be discussed beforehand. Each department has its unique strategies such as health center and elementary departments. Everything that I have discussed requires training. Everyone should be required to have professional development training, including all staff and teachers to cover equal accesses, incidental learning, discussing strategies, and more. Schools must make effort and time for this training. Schools also must develop a system for new staff on how to train and how to teach new staff school policies on bi-bi philosophy. Last but not the least, what I will discuss is a weak area in many schools, including bi-bi schools is about compliance and discipline. People hate discussing about this topic but it is important. Suppose a teacher refuses to comply with the bi-bi policy, speaking with another teacher in spoken language in a hallway when it was agreed that sign language is required at all times on campus around students, someone must notify the department principal or whoever is in charge in different schools. This person in charge must take action, even if it takes up to the administrative level. If no action was taken, people will not take this policy seriously. It is like passing a law but having no enforcement, which causes a breakdown. The points that I have discussed are the bottom of the iceberg of the definition of a “bi-bi” school, which is the tip of the iceberg. I see people often state how lucky some people live near a bi-bi school. I even live near a “bi-bi” school, however notice that I added quotation marks for the word bi-bi because those so-called bi-bi schools are still lacking many of the points I recently discussed. There are many different reasons why those criteria are lacking. Some schools used to have equal accesses and lost that equality now. Some schools’ values changed over time. The vision and mission statements may stayed the same over the years but if you look at the policy closely, you will realize that many actions have not been taken to ensure that a school is considered bi-bi. For our Deaf community, we must understand that for a school to be considered bi-bi, it does not mean that the teachers use sign language. This is not called bi-bi. Schools must be viewed as equal in all classes, sign language used at all times everywhere, and all teachers and staff in agreement. If that were the case, I would agree to call the school bi-bi. If none of that is happening, I would not call the school bi-bi. I hope this benefits anyone who talks and discusses about schools and whether if its bi-bi or not. If demands are being made to have the school follow bi-bi philosophy, one must understand what is under the tip of the iceberg and understand what is involved. It takes time for change to happen. There will be struggles and resistance but with time, change can happen. This kind of change is called language planning. I hope you benefit from this information. I have been through this language planning before. I was part of the facilitating process so I am familiar with all the points needed to make a school considered bi-bi.